MOSCOW, October 30. /TASS/. Seven crew members of the Russian fishing boat The Nord have been exchanged for seven Ukrainian sailors from the ship YaMK-0041, the press service of Russia’s human rights ombudswoman Tatyana Moskalkova told TASS on Tuesday. "Our sailors are already in Crimea," the press-service said. The Nord’s captain, Vladimir Gorbenko, who faces criminal charges, remains in Ukraine. The captain of the Ukrainian fishing boat YaMK-0041, detained in Crimea, Viktor Novitsky, remains in Russia. "A criminal case was opened against the captain, Ukrainian citizen Viktor Novitsky, over illegal fishing in the exclusive economic zone of Russia," the press-service said. "The captain of the Russian fishing boat The Nord, Vladimir Gorbenko remains in Ukraine." Russia’s human rights commissioner in Crimea Lyudmila Lubina told TASS that the Russian sailors had crossed the Russian-Ukrainian border at the checkpoint Armyansk, in the north of the peninsula. Lubina said seven Russian sailors had been exchanged for seven Russian sailors from two Ukrainian fishing boats, YaMK-0041 and YaOD-2015, detained earlier for illegal fishing. In Crimea, The Nord’s crew were welcomed by Moskalkova and Crimea’s head Sergei Aksyonov. Lubina said the exchange had become possible largely thanks to efforts by the deputy president of the International Union of Lawyers, Nina Karpachyova. "That the exchange has taken place is largely a result of her efforts. Nina Karpachyova has long worked in Crimea and knows well the interests of the local people. Also, Russian human rights ombudswoman Tatyana Moskalkova and the authorities of Crimea, in particular, its leader Sergei Aksyonov, paid unflagging attention to this issue, too. Russia is prepared for exchanging the captain of Ukraine’s fishing boat YaMK-0041, detained in Crimea, for the captain of the Russian fishing boat The Nord detained in Ukraine,she added. "The next issue on the agenda is the future Captain Vladimir Gorbenko. Russia will be doing everything symmetrically, just as the Ukrainian side. The ball is in the Ukrainian court," she said. The return of The Nord’s captain, Vladimir Gorbenko is not on the agenda for the time being. "His case is being considered by a Ukrainian court. He is unable to leave for Crimea for now," Lubina said. Moskalkova promised to do her utmost for the sake of Gorbenko’s return to Russia. "I will keep pressing for the return of The Nord’s captain. Today the first important exchange of sailors took place. The way was paved. In Ukraine there are people worth having talks with." The Ukrainian border guard service on March 25, 2018 detained Russia’s fishing boat The Nord with a crew of ten Russian citizens on board in the Sea of Azov. Captain Vladimir Gorbenko was accused of "violating the rules of visiting Ukraine’s temporarily occupied territory and leaving it and of causing harm to the interests of the state." 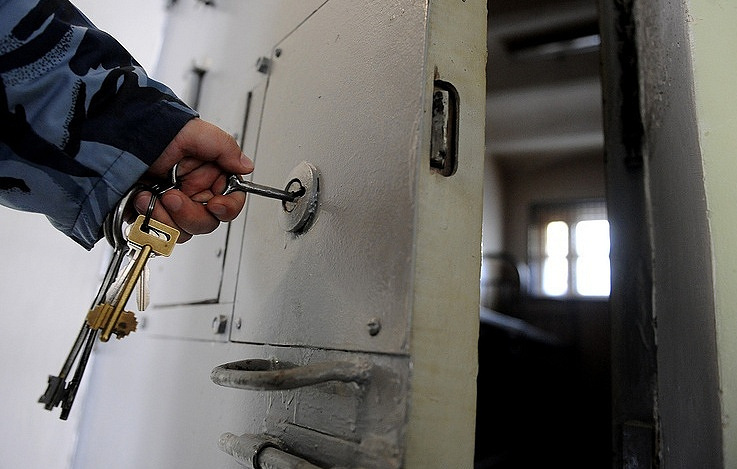 The Kherson city court on April 10 released him on bail in exchange for promise to report to the investigators. The other sailors were fined. Gorbenko was eventually charged with illegal fishing. The Ukrainian border guards refused to release the crewmembers, who have Russian passports, because Kiev regards them as its citizens resident in Crimea. Two of the nine crew managed to return home earlier. On Thursday, October 25 Ukraine’s national agency for the return of assets declared The Nord would be auctioned on November 7. The starting price was set at about 58,000 dollars. The ship owner said it would protest The Nord’s auction in international courts.